Vancouver offers any winter lover a wonderful combination of mild climate coupled with breath-taking scenic views of alpine mountains. 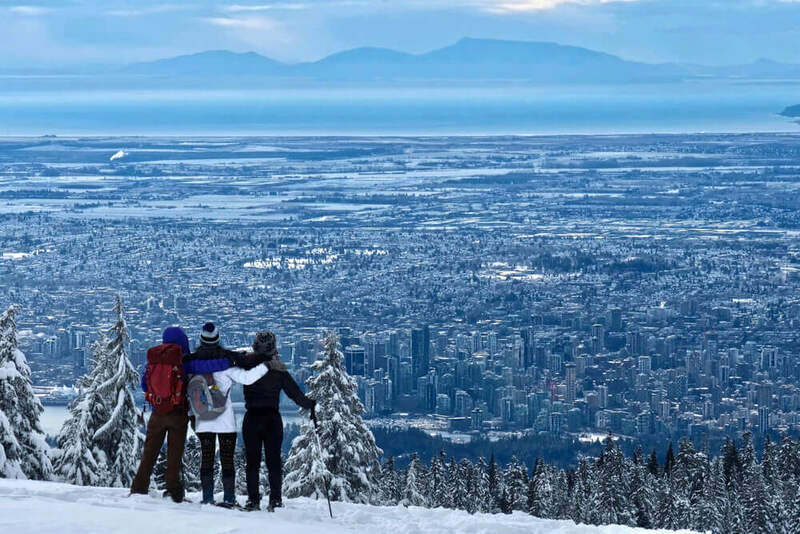 Whether you’re looking for a snowy adventure or a chilled winter break, Vancouver will have you covered. 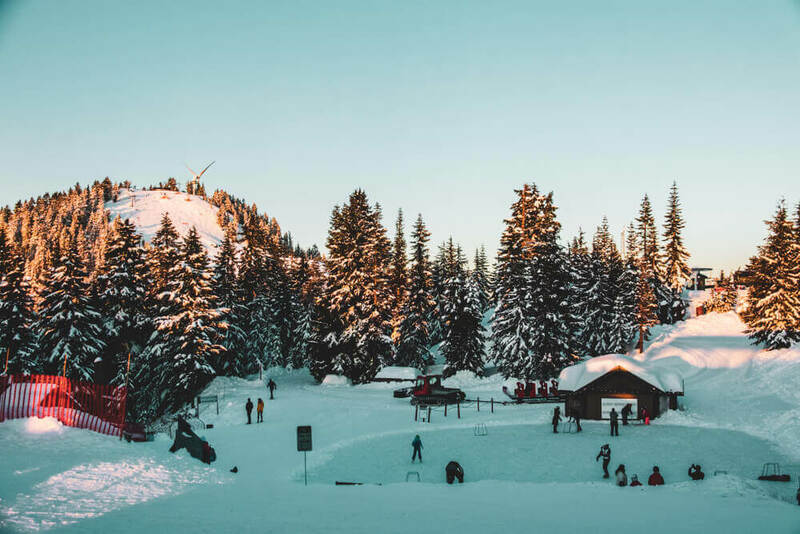 If you like a slice of adventure, the Grouse Mountain’s Snowshoe Fondue experience is an absolute must. Head from the Vancouver Hotel to downtown Vancouver where you can take the SeaBus to Lonsdale Quay; from here jump on the #236 up to Grouse Mountain. Once you have arrived, take the Scenic Gondola and drink in the stunning views as you make your way up to the peak of the mountain. At the top your snowshoe guide will be waiting to lead you across the striking winter scenes that only serve to emphasise how beautiful nature is. After an hour you will find yourself at the warm chalet of Altitudes Bistro where you will be able to rest and tuck into a delicious three-course dinner which consists of broth, cheese and chocolate fondues. Once you are full and content, you will make your way back to Vancouver for a night cap. If eating is your thing then you’re in luck because the winter brings out the very best in Vancouver’s food scene. Not only can you indulge on the L’hermitage Vancouver breakfast, but you have a fine selection of eateries spread all across the city such as a range of Asian restaurants in Chinatown, the famous Public Market at Granville Market which has been described as a food lover’s paradise and the café’s situated in the seawall at Coal Harbour. One place that should be at the top of your list, especially if you are an avid chocolate connoisseur, is Cacao, a chocolate restaurant situated in the West End neighbourhood. It serves everything chocolatey that you could ever dream of, from hot chocolate to fondue, from chocolate pancakes to thick, warm chocolate brownies. It is the perfect stop on a cold winter’s day. A short ride from L’hermitage will take you up the Whistler to the Scandinave Spa where a day of sheer relaxation awaits. There are so many incredible things to enjoy in this spa such as the amazing treatments that are guaranteed to take your stresses away; the beautiful facilities which include Eucalyptus Steam Baths, Nordic Waterfall and Solariums and several outside pools that allows you to relax and take in the magnificent views of Whistler itself. The spruce and cedar trees surrounding the spa provide a naturally invigorating backdrop which allows you to drink in the silence of the mountain. Scandinave Spa believes that embracing the silence wholeheartedly allows every visitor to find their inner stillness which, in turn, leads to complete relaxation of the mind and body. 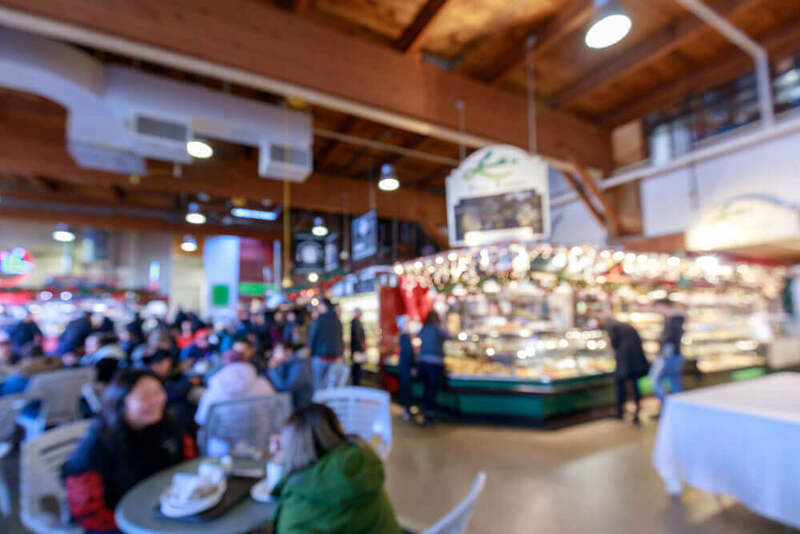 Once you feel at peace, you can head to the bistro to dine on a fine selection light meals, salads, sandwiches and desserts to refuel before you head back to downtown Vancouver.